I tried everything and this just doesn't seem to be possible anymore? 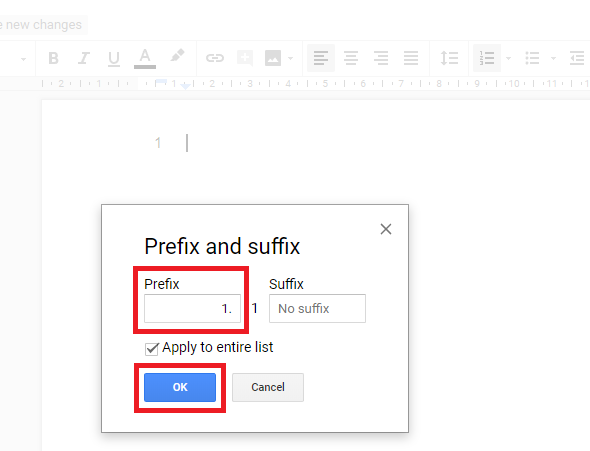 type in the prefix 1. 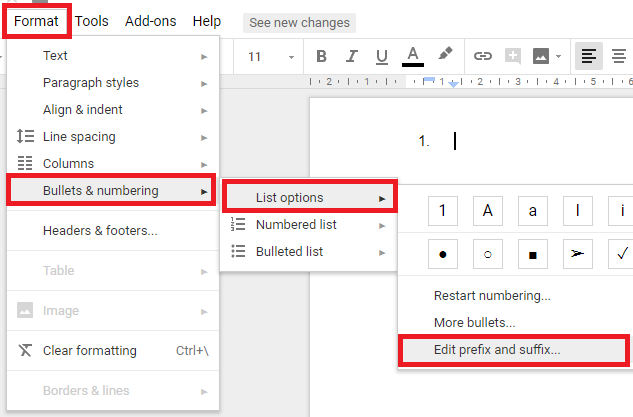 Can I get header numbering in Google Docs? 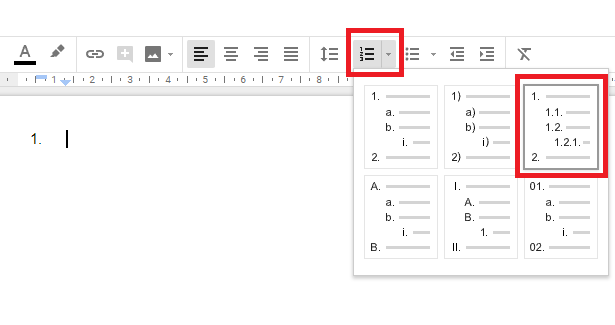 How to add structured numbered outlines in Google Docs? How do I make a colored background section like the code section on StackExchange? 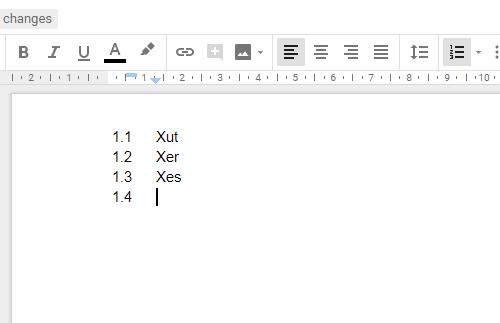 How to use text from capturing groups in Google Docs regex replace?